Sutter Tax, Financial & Insurance Services is a full service Financial Services organization. We take great pride in assisting our clients with Tax & Financial Services to include Bookkeeping, Tax Planning & Preparation services, Business Entity Formation & Consultation, Audit & Tax Resolution services, Tax & Social Security planning, Life Insurance needs analysis and placement, and Retirement & Income Planning. Our advisement and planning service offerings also include Tax Subsidy & Health Insurance coordination analysis with respect to the Affordable Care Act (Obamacare), as we are also a licensed independent brokerage of Health Insurance products for Individuals, Seniors & Small Business. 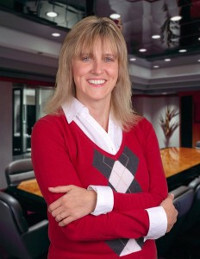 Lisel Sutter is the Principal in this 2nd Generation, family owned and operated Financial Services business. Her philosophy is that Tax Preparation is one very small yet important piece of the Financial puzzle. Creative Financial & Tax strategies must be employed and examined on a regular basis, giving the client the full financial attention they deserve and need. While most tax advisors simply process information year after year, Sutter Tax & Financial works with you toward a long term, workable financial plan to minimize tax liability & maximize overall financial success. Lisel prides herself in her ability to communicate complex financial concepts to her clients, and most importantly, cherishes the close and long-term relationships that she forms with those she works with. She believes the key to financial success is having the ability to make a plan that is simple for all to follow, fits the clients unique needs, and that is workable for both the short and long term.